I’m not sure if you noticed, but craft beer has been growing rapidly in popularity and here in Southwest Florida is no different. Home brewers are expanding out of their garages and starting businesses. These small craft brewers are serving this growing market and beginning to make a name for themselves in a very competitive beer market. With a growing market, there is growing competition, and most craft brewers are learning how to market their brand on the fly. Here are three ways craft breweries can market their beer online and get their brand out to the beer drinking masses. Small craft breweries don’t necessarily have the revenue to use on expensive advertising to attract customers. Print, TV, and radio ads are very costly and tracking returns can be extremely difficult. Using relevant content to build a blog following is a great inexpensive way to market a brewery. Creating remarkable craft beer content takes time but the benefits are lasting. Your content will live forever, continuing to be found by search engines, unlike print and broadcast media which lasts only seconds or one printing of the publication. By writing about the latest news at the company, release schedules, and upcoming tours, craft breweries can attract customers and build a community. The people reading the blog aren’t just interested in regular beer; they’re interested in craft beer and the unique culture that comes along with it – something the big beer giants can’t compete with. One of my personal favorites, Boulevard Brewing Company out of Kansas City, does a great job of this. They constantly publish behind-the-scenes content of their beer making process, photos of passionate fans, and fun company culture activities. Going one step further, Boulevard Brewing Company, like many other craft breweries, has a newsletter signup and schedules brewery tours right from their site, further solidifying their strong brand community. Social media is a free and often underestimated form of advertising for small breweries. If you already have a solid community in place by producing relevant content, social media is a way to take that to the next level. Through Facebook, Twitter, and Instagram, craft breweries can highlight their events, promotions, and company news in an appealing way. Word-of-mouth that is amplified by social media is an incredibly powerful tool for small breweries. Magic Hat Brewing Company is a prime example of how breweries should utilize their social media power. They feature songs to dance to, brew to, and drink to. This allows customers to get an idea of the company culture what the beer brand stands for. In addition to this, Magic Hat has an “Eye of the Beholder” social option where they post pictures sent in by devoted customers, building a further bond with their audience. Each craft brewery is different - different brewing styles, different culture, different story. Those differences are what attracts and creates passionate beer buying customers. The generic beer brands have a hard time competing with this creative and flexible type of marketing. A good example is Blue Moon Brewing Company, perhaps one of the better-known craft breweries. Blue Moon emphasizes using the best ingredients and furthermore, how beer should complement food. Because of this, they have a whole section of their website dedicated to recipes that are made with the various Blue Moon brews, and what brews should be paired with each recipe. This attracts a certain kind of customer, one who is not just interested in crafty beers, but one who is also interested in various tastes and palettes. By promoting their unique style through relevant content and social media, Blue Moon is able to attract a very specific kind of customer. All in all, it comes down to working with what you have. If you produce content that people are interested in and use social media tools to your advantage, you will attract customers who like what your beer brand has to offer. 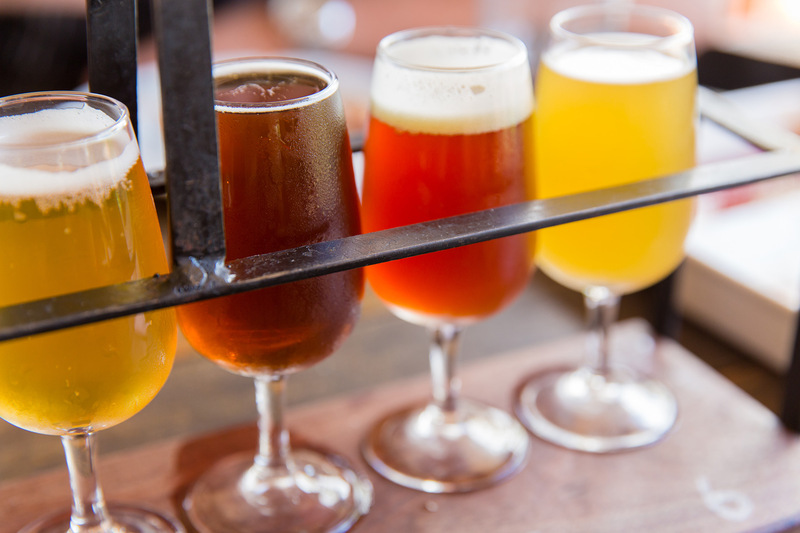 As more and more breweries start using these inbound methodologies, craft beer will continue to grow in popularity, and it will be interesting to see how the beer industry will change as a result. Do you want to be one of the first small craft brewers in your local area to use the power of inbound marketing? If so, download this free ebook to help you get started.